1. Eliminating the circumstantial reason that leads you to calluses – It is a known fact that friction is the basic reason behind calluses. Hence, one of the best ways to get rid of these skin lumps is to avoid the situation which causes friction. Switching for better shoes can be a big factor in it, as tight shoes causes more abrasion which catalyzes corn eruption. 2. Using Cushioning pads – Calluses generally occur on the feet ball, heels and under toes. Corn occurred under toes are soft in nature. These corns can be treated with help of doughnut shaped pads. All you need to do is to keep these pads in your shoes to provide proper cushioning to your feet. It’ll cut down the abrasion that paved way for corns. Removal of friction not only slashes down the possibilities of new calluses but also it helps in treating old tissue lumps. 3. 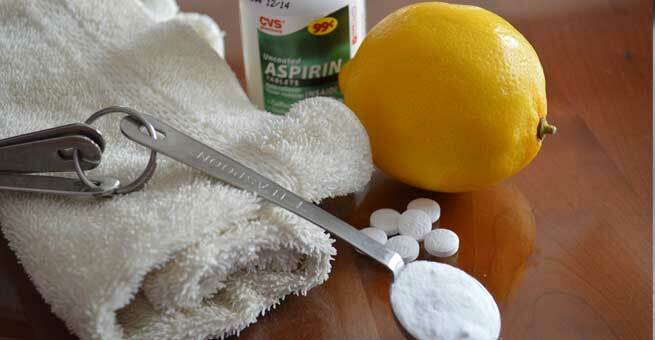 Aspirin and lemon juice mixed corn removing compound – Aspirin is one of the most common sources of salicylic acid. This acid is considered great medicine to cut calluses from roots. To make your own mix of callus removing compound, you need to crush five aspirins and add half tea spoon of lemon juice and same amount of water to it. Now mix these three products finely. After making the fine paste, apply it on the hardened area. Now cover this area with plastic sheet followed by heated towel. Cover it for 10 minutes and afterwards scrub your feet with help of pumice stone. It’ll immediately remove the thickened skin which had been irritating you. 4. Epsom salt for treatment– Epsom salt treatment is another effective home remedy that is commonly used to avoid callus on feet. You can use an electronic pedicure tub to make the best use of Epsom salt in removal of hardened and dead skin from your feet. 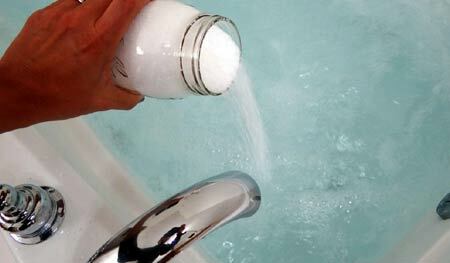 Put some Epsom salt and softening soap in lukewarm water. Dip your feet in this water for ten minutes. Now take your feet out and pat dry it for 5 to 7 minutes. Now exfoliate your feet to remove the lumpy part of skin. 5. Use readymade corn cap – Nowadays, a number of readymade medicated bandages are available which are very effective in quick treatment of corns. These bandages are known as corn caps. You need to apply corn cap on the affected area for two to three consecutive days. These bandages automatically soften the hardened skin. Callus is not a disease. It is essentially skin’s armor which comes in existence to protect skin from injury caused by continual abrasion.